Country Range Student Chef Challenge | Are you up to the challenge? 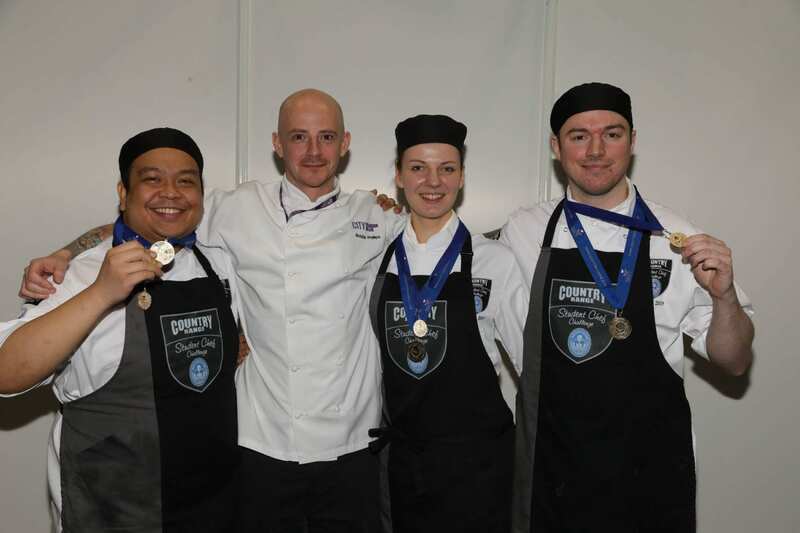 The Country Range Student Chef Challenge is a prestigious culinary competition which has become a firm fixture in the catering industry’s calendar. The Challenge is focusing on the essential core skills and techniques will test the students’ knowledge of both classical cooking and the more modern methods of the last 25 years. Teams of three full-time hospitality and catering students must work together to create a delicious three course, four cover menu that showcases their skill and understanding of flavours. Entries for the 2018/2019 Challenge are now closed however, you can register your interest for the 2019/2020 Challenge. Click here to visit the Country Range Student Chef Challenge YouTube Channel to see all of the footage and interviews with judges, teams and lecturers from the 2018 Challenge final! Click the video above to see all the action from the March 2018 Challenge Grand Final that took place at Scothot!